Röhm can look back on a diverse and successful company history. For 90 years, the company has continuously developed itself into one of the best-performing chucking tool manufacturers all over the world. Today, Röhm is setting new standards in the production of all types of chucking tools from the smallest drill chuck to the most modern and high-tech special design.This achievement principally redounds to the credit of the company's founder, Heinrich Röhm Sen (1882 - 1957) and his three sons Helmut (1908 - 1980), Heinrich and Günter. Heinrich Röhm's desire for independence prompted him to set up his own company in the town of Zella-Mehlis in Thuringia in 1909. From modest beginnings with 12 employees, he started manufacturing two-jaw drill chucks. The business prospered until production was ceased in the First World War. Manufacturing restarted at the end of the war. The number of employees rose over the following years to 1400 and, even then, the company was one of the most productive and modern Europe. Heinrich Röhm and his family were evaluated to Heidenheim on the River Brenz in the aftermath of the Second World War. The moved to Sontheim in 1946 where their factory was rebuilt and continuously expanded over the following years. A branch was set up in Dillingen on the Danube River in 1953. Today, this plant is principally concerned with the design and production of lathe chucks, machine vices and special designs. This firm is currently managed by Georg Röhm, a grandson of the company's founder. The firm underwent continuous expansion in the form of a plant outside Europe in Sao Paulo (Brazil) as well as numerous branches in the most important industrialized nations of the world. Röhm chucking tools have gained an excellent reputation for themselves thanks to their precision, quality, and economic efficiency, and are used all over the world. Nowadays, the decisive impetus is supplied by Heinrich Peter Röhm and Bernd Röhm. The company possesses the necessary experience and forward-looking approach with which to win over customers all over the world, in particular with new products. Röhm currently employs about 1,500 people. Sontheim lies on the Brenz River, close to the Bavarian border between Ulm and Heidenheim. This town on the edge of the "Swabian Alps" has a population of 5000 and can boast both a highly developed infrastructure and a rich cultural heritage. Sontheim has undergone huge changes over the past few decades. The character of the town is now principally determined by industry, skilled trades and commerce. Transport links are extremely favorable thanks to the Ulm to Aalen main line, very good trunk roads and the nearby A8 and A7 motorways. In this place, our company has developed into one of the best performing chucking tool manufacturers in Europe and has become one of the leading lights in our industry. Constant innovation and forward looking developments manufactured on the most up-to-date, computer controlled machines mean that Röhm chucking tools are of the highest possible quality standard. In autumn '99 we started with the construction of a 7800 m2 production and assembly plant. The branch plant set up at Dillingen in 1953, Röhm Tool GmbH & Co. KG. underwent positive development. New production halls were built in 1982 and 1991. Experienced specialists are employed here, principally in the design and production of lathe chucks, machine vises and special chucking tools for turning machines, milling machines and machining centers. Recently, the Dillingen plant presented a hydraulically operated 6-jaw chuck with a diameter of 2300 mm. 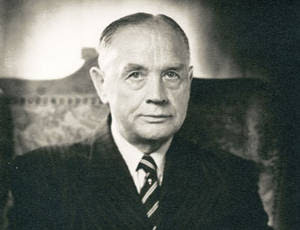 Georg Röhm manages the company since 1963. Particular emphasis is placed on training at the Dillingen plant, where almost 250 people are employed. The QA system was successfully audited by the TÜV Management Service in May 1999 as part of the composite certification program.